Today is Memorial Day and while many will go to the beach or enjoy a hearty barbecue, let’s NOT forget the real reason for this most special and solemn of days…to remember and to honor those who put their lives on the line for our beloved country…those who made the ultimate sacrifice for a purpose they believed was greater than themselves…a purpose of keeping us safe and free at home. Today while political battles continue in DC and across the nation, Memorial Day offers us the chance for all Americans…NO matter our race, creed, religion or color…to unite together and remember the one thing we all we have in common…gratitude...gratitude for those who served…gratitude for the brave men and women who proudly wore but sadly died wearing our nation’s uniform…gratitude so that we can go to that beach and can enjoy that barbecue. 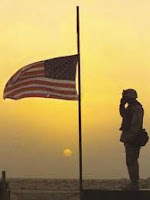 Today there should be NO hyphenated Americans (nor should there ever be)…just Americans bowing their heads together in prayer as the flag of these United States is raised all over this great nation, and then solemnly lowered to half-staff. 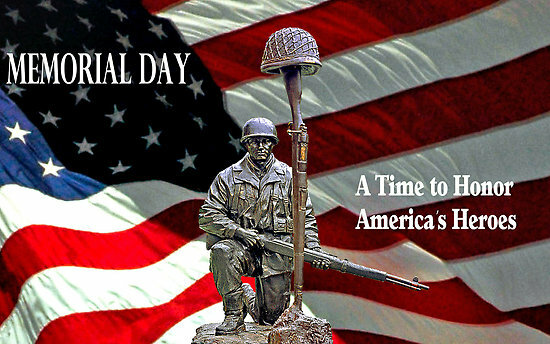 On this day let us remember the more than one million American patriots who gave their lives in service to this country. And when the flag is once again raised high at noon we must remember to NOT allow their sacrifice to be in vain for a nation that forgets its true heroes is a nation that loses its soul. Today is a day when we should teach our children the importance of the sacrifices made by so many to ensure their freedoms and the freedoms of generations to come. Today is a day when many Americans will visit cemeteries or memorials nationwide to place small flags at the base of the headstones of the fallen to let them know they are NOT forgotten. 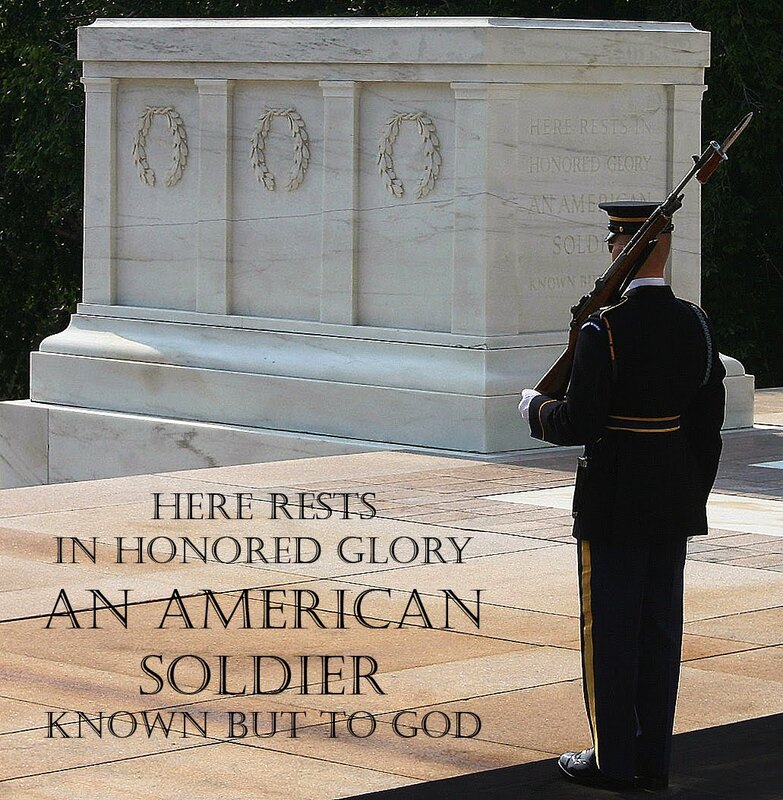 Today is a day to honor the remains buried at the Tomb of the Unknown Soldier for while he, brave soldier whomever he may be, is home resting on American soil he is NOT with his loved ones, but serves as a reminder of the many who NEVER made it home, and should remind us that there are still some left behind who must be brought home. Today is a day when the Pledge of Allegiance should take on a renewed meaning, and should reawaken in us all the realization that we live in the greatest nation the world has ever known, and remind us that some things are indeed worth fighting and dying for. 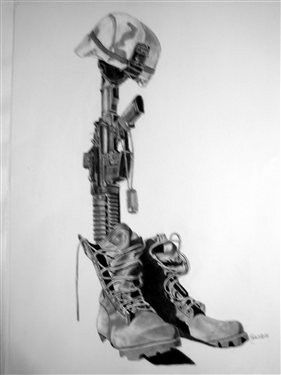 Today is a day to honor courage for while those lost in battle knew fear, they sacrificed with courage of heart and strength of conviction, something that must NEVER be forgotten for without knowing fear there can be NO courage and without courage there can be NO victory. 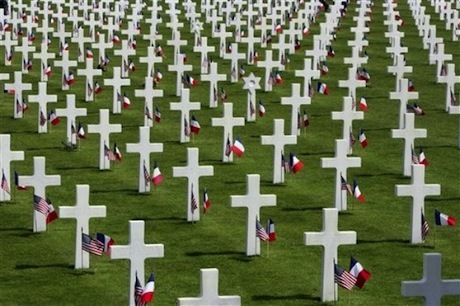 Those who gave all deemed their love of country and duty to freedom were of greater value and more important then the fears they faced in dying. Today is a day to also honor the very freedoms those lost in battle gave to each and everyone of us…the freedom we have in our beloved America to act, speak, and think as we so chose without hindrance or restraint…a freedom we intend NEVER to lose…a freedom we will fight for with just as much passion, dedication, determination, and courage as those who sacrificed before us…for we will NOT allow their sacrifice to be forgotten nor will we allow our freedoms to be taken away. NO…we will NEVER allow their sacrifice to have been in vain. Today is a day for prayers for those lost…a day for honoring their memories NOT just with tearful remembrances but also with a smile…a day to rediscover the meaning of what our military fights and dies for…our liberty, our safety, our individual rights guaranteed us under our Constitution, and the continuing American story of which we all play a part in. Someday…someday soon I pray, and may God Bless America today and always.